Whether you are a music director, private educator, or teaching in a university setting, The Music Shop's Professional Development Program provides the hands-on experience and education your program needs to develop while earning 5 required continuing education hours. Professional Development Day 2018 was Monday, October 8th - THANK YOU FOR A GREAT SHOW. WE HOPE TO SEE YOU NEXT YEAR! An Educational Opportunities for ALL Music Teachers! The Music Shop’s professional Development day provides three education tracks for Band, Orchestra, and Vocal Teachers as well as educational opportunities for General Music Teachers! 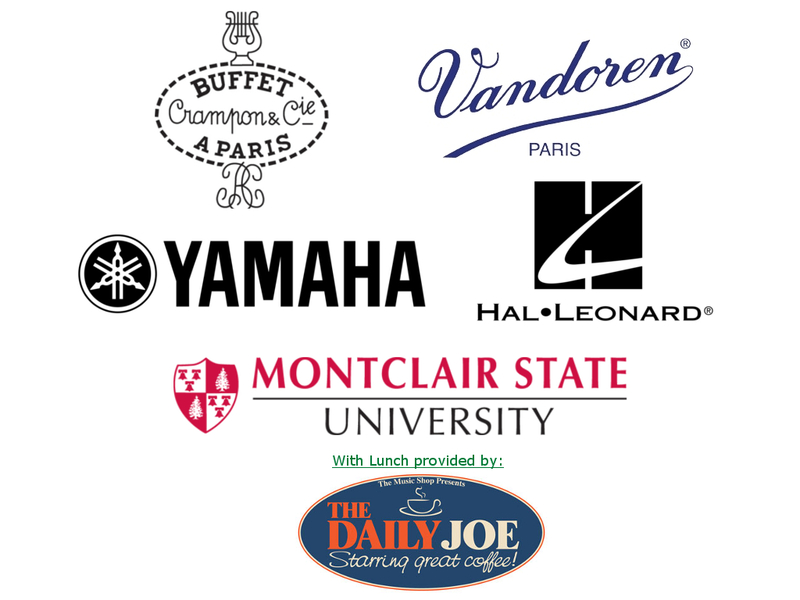 With Top Clinicians from Yamaha, Selmer, and Buffet; and Reading Sessions sponsored by Hal Leonard, you will be on the cutting edge of music education! This year Yamaha will be debuting NEW items for your classrooms! 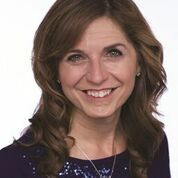 Sharon Burch is a National Board Certified Teacher in Early and Middle Childhood Music, a certified teacher with the International Piano Teaching Foundation, and holds a master’s degree as a Professional Educator. She serves on the Jazz Education Network (JEN) board and chairs the Education Committee, and serves as an elementary education consultant for Jazz at Lincoln Center. Sharon develops educational resources that make abstract concepts fun and easy for children to learn, bringing interactive music back into child's play. During her 20+ years teaching pre-k through high school vocal and general music, she authored the national best-selling Freddie the Frog Book series, interactive storybooks that teach basic concepts of music, including a kid-friendly introduction to jazz. Jazz lessons are designed for teachers who may or may not be trained in America's art form, making jazz accessible to everyone. Every jazz lesson, rehearsal, and performance exercises the 21st century skills, encompassing creativity, collaboration, critical thinking, and complex communication all inherent to jazz. David F. Eccles is a native of Norfolk, Virginia and the son of a music educator. He currently serves as Director of String Music Education and Orchestral Activities at VanderCook College of Music in Chicago, Illinois. He has held string education positions in Virginia and Florida. An active conductor and cellist, Eccles has held conducting and music director positions with the Florida State University Summer Music Camps, Tallahassee Symphony Youth Orchestra, Southwest Florida Symphony Youth Orchestra, Greater Miami Youth Symphony, Jubilate Youth Orchestra, and Brevard Symphony Youth Orchestra. He has served as a guest conductor for various state, county, regional, and community orchestras. Mr. Eccles is also a clinician for the Hal Leonard Corporation. Born in 1958 in Montreal, Canada, Jeff Khaner studied at The Juilliard School under the tutelage of the late Julius Baker. After serving as co-principal of the Pittsburgh Symphony and principal of the Cleveland Orchestra and Atlantic Symphony Orchestra, he has been Principal Flute of the Philadelphia Orchestra since 1990. Mr. Khaner also performs as a soloist and has performed jointly with numerous orchestras in Europe and North America, beginning with the Montreal Symphony Orchestra. Mr. Khaner was named to the faculty of The Juilliard School as Flute Professor in 2004, holding the position formerly held by Julius Baker. Since 1985 he has been a faculty member of the world-renowned Curtis Institute of Music in Philadelphia. 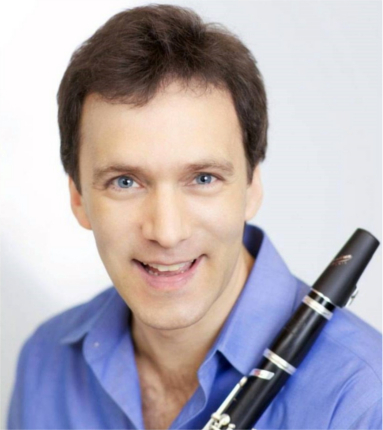 Among the most distinguished classical artists of his generation, clarinetist Jon Manasse is internationally recognized for his inspiring artistry, uniquely glorious sound and charismatic performing style. Recent season highlights include return performances with the Seattle Symphony Orchestra and debuts with the Baltimore Symphony Orchestra, Erie Philharmonic, The Chappaqua Orchestra, Montana’s Missoula Symphony Orchestra and Oregon’s Rogue Valley Symphony. With pianist Jon Nakamatsu, he continues to tour throughout the United States as half of the acclaimed Manasse/Nakamatsu Duo. Manasse is also principal clarinetist of the American Ballet Theater Orchestra and the Mostly Mozart Festival Orchestra. In 2008 he was also appointed principal clarinetist and Ensemble Member of the Orchestra of St. Luke’s in New York City. As one of the nation’s most highly sought-after wind players, has also served as guest principal clarinetist of the New York Pops Orchestra, Orchestra of St. Luke’s, Orpheus Chamber Orchestra and New Jersey, Saint Louis and Seattle Symphony Orchestras, under the batons of Gerard Schwarz, ZdenekMacal, Jerzy Semkow, Robert Craft and Hugh Wolff. For several seasons, he was also the principal clarinetist of the New York Chamber Symphony. Acclaimed for her electrifying performances and compositions, pioneering composer/electro-acoustic violist, Martha Mooke transcends musical boundaries, enhancing her classical training and expertise with extended techniques, digital effects processing and improvisation. A Yamaha Artist and leading clinician on electric and progressive string playing, she has toured with Barbra Streisand, Peter Gabriel, Andrea Bocelli and Star Wars in Concert and has performed with Elton John, Trey Anastasio, Lou Reed, Iggy Pop, Laurie Anderson, Tony Bennett, Bon Jovi, Patti Smith, Damon Albarn, Blur and many others. Mooke is Founder and Artistic Director of the Scorchio Quartet featured on David Bowie's Heathen CD. As "house quartet", they perform each year at the annual Tibet House Benefit Concerts at Carnegie Hall produced by Philip Glass. 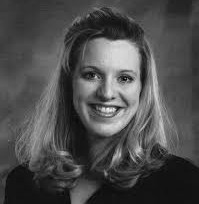 Dr. Shelley Axelson is currently Assistant Professor of Music Education at Montclair State University in New Jersey where her responsibilities include teaching conducting, conducting the Campus Band and teaching courses in instrumental music education. Before coming to New Jersey, she held a similar position at the University of Indianapolis. Dr. Axelson was also the Director of Bands at Central College in Pella, Iowa, Pasco Middle School in Dade City, Florida (co-author of the Secondary Music Curriculum) and Richardson Junior High School in Richardson, Texas. 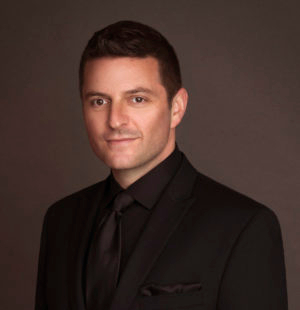 Dr. Axelson has appeared as a guest conductor, clinician or adjudicator throughout much of the United States and Canada. 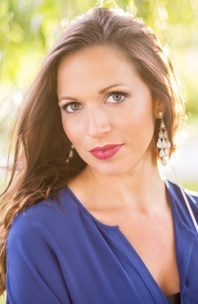 She received an undergraduate degree in Music Education from the University of South Florida, a Master of Music degree in Conducting from the University of Michigan and the Doctor of Music degree in Conducting from Northwestern University. Her principal conducting teachers are Mallory Thompson and H. Robert Reynolds. Jonathan Palant is on the faculty at the University of Texas at Dallas and is founder and conductor of Credo, a 115-member community choir, and the Dallas Street Choir, a musical outlet for those experiencing homelessness and disadvantage. In addition, Dr. Palant is minister of music at Kessler Park United Methodist Church, adult choir director at Temple Shalom Dallas and is employed by the Dallas Independent School District to mentor middle and high school vocal music teachers.Upcoming conducting engagements include all-state choirs in Illinois and North Carolina, along with lectures in Arkansas, Florida, New Mexico, New York, and Texas. A conductor, choral clinician, and music educator, Sophia Papoulis serves as Director of Choirs for the Boston Children's Chorus, where she conducts choirs at the advanced, intermediate, and beginning levels. She also serves as Creative Director for the Foundation for Small Voices, a not-for-profit organization dedicated, through music, to crossing cultural, generational, and ideological boundaries to raise awareness and funds for national and international music and mentoring programs for children. Sophia guest-conducts regional and all-state choruses; adjudicates; guest-lectures in music education and conducting; and gives choral and teacher education workshops throughout the US and abroad. She is a firm believer in the power of music to inspire growth and inherent joy. 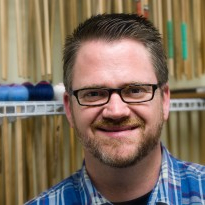 Dr. Dave Gerhart, Product Manager for Yamaha Corporation of America and Lecturer of Percussion at the Bob Cole Conservatory of Music at Califorinia State University, Long Beach, is a nationally recognized performer, composer, and educator. Dr. Gerhart, originally from Fairfield, California, holds a D.M.A. from the University of Southern California in Percussion Performance with a secondary emphasis in Music Education, Ethnomusicology, and Music Industry and Technology. He received a M.M. in Percussion Performance and Instrumental Conducting and a B.M. in Music Education from California State University, Long Beach. Dave’s compositions and arrangements for percussion ensemble and steel drum orchestra are published by Bachovich Music Publications, Boxfish Music Publishing and Living Sounds Publications. He is a founding member of the Island Hoppin’ Steel Drum Band and the IronWorks Percussion Duo.